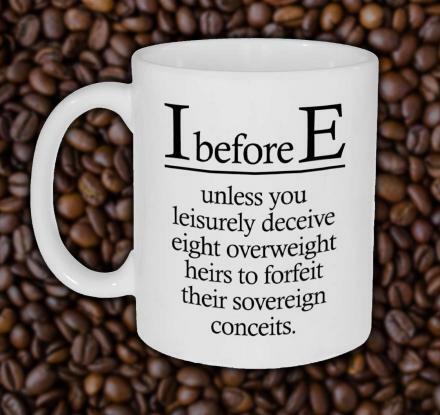 You know that old rule of grammar, "I before e, except after c". It means that If you are unsure whether a word is spelled with the sequence ei or ie, the correct order is ie unless the preceding letter is c, in which case it is ei. Confused? Me too. Hey, I was never great at this sort of thing either, but at least it isn't math or I would be totally lost. This unique mug has a funny take on the old grammar rule. 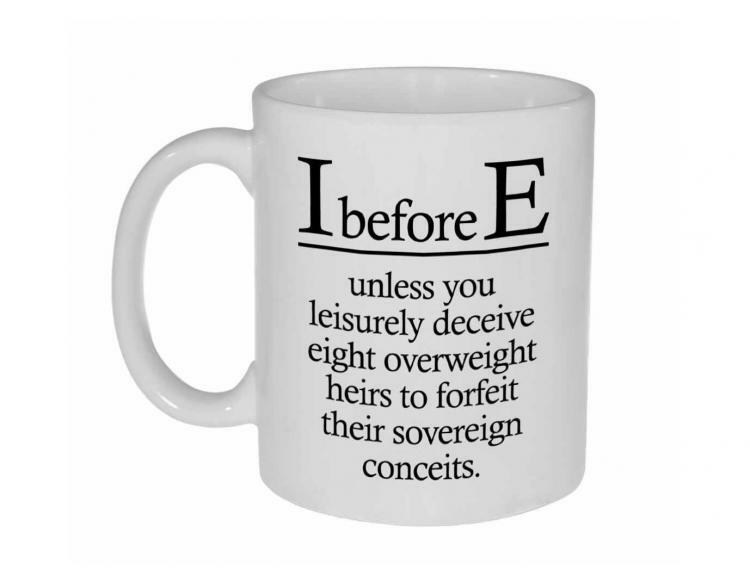 It reads, "I before E unless you leisurely deceive eight overweight heirs to forfeit their sovereign conceits". Grammar aficionados will get a nice chuckle and maybe even an LOL out of it and who knows, it may even help teach others about the old English language rule and how many exceptions that rule actually has. The grammar mug makes a great gift for office workers, pranksters, or anyone who loves word play and puns. 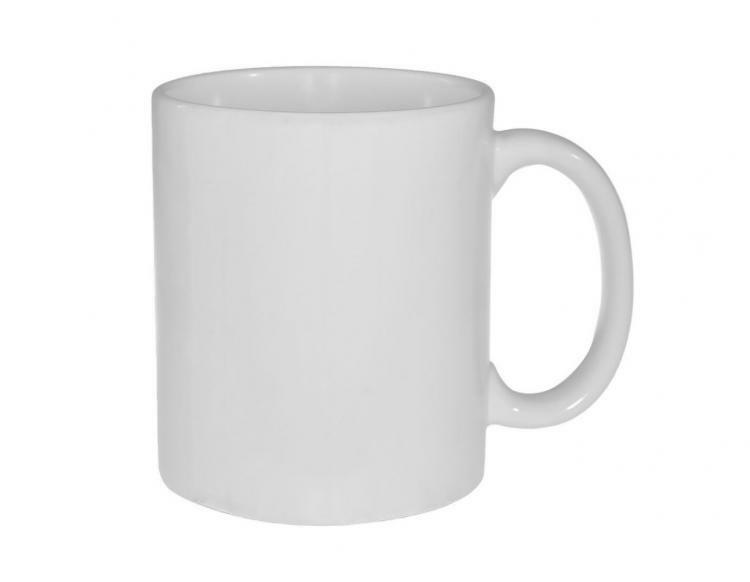 The funny mug is sure to be a hit in any teacher's lounge or college campus too. The I Before E exceptions coffee mug is a great reminder that the English language is weird, and has more exceptions to rules. Have yourself a nice chuckle with your morning coffee and have a deep thought or two about the strangeness of our language.